Up until a few months ago, I really had no clue about the benefits and power of double cleansing. I was under the impression that I had a pretty good thing going when it came to washing my face. I cleansed both in the morning and at night. But I was still bothered by the small traces of makeup left on my face regardless of the thorough wash I’d done in the shower. Plus, despite how often I washed my face, oil would quickly build up, resulting in occasional breakouts. I was introduced to double cleansing by a friend, a technique that has been used by Korean women for decades (and we already know that Koreans are trendsetters in the world of skincare and beauty). Essentially, an oil-based cleanser is first used to remove all the makeup and the natural oils (sebum) produced on your skin, followed by a foam/gel (water based cleanser). If you think about it, the logic makes total sense. We know that water and oil don’t mix, therefore using a water-based cleanser alone isn’t going to do the trick. Starting with an oil-based cleanser and following with a regular facial cleanser will lift the natural oils and makeup. Then when mixed with water, the cleanser will emulsify and wash away, leaving the skin squeaky clean. Equipped with this knowledge, I was on the hunt for a brand new set of oil-based facial cleansing products. My first (and only stop) was the newest Shoppers Drug Mart at Yonge and Dundas Square. If you’ve not been to this location yet, go! The store, situated in the former Hard Rock Cafe, is massive and designed with busy urbanites in mind, such as myself. It truly offers a total one stop shop experience from an enhanced beautyBOUTIQUE loaded with a huge selection of beauty and skincare brands at all price points (even ultra luxury brands such as Chanel, Dior, Guerlain, and YSL), full service (and digital) Pharmacy, as well as a Canada Post post office. 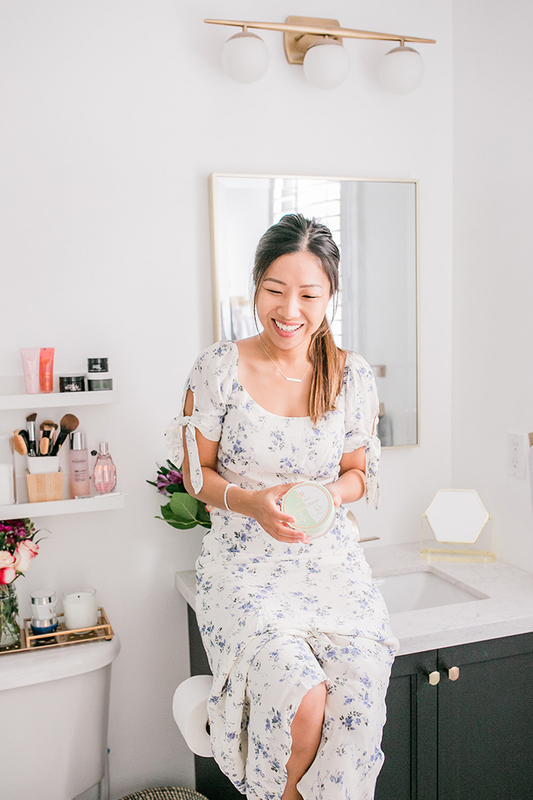 I swear I can get lost in there for hours but for once, I don’t have to feel guilty about it because I’m satisfying my beauty indulgences while getting my household shopping and errands completed all at once! Shopping for beauty and skincare products can be quite overwhelming sometimes, especially when you don’t have a specific brand/item in mind. 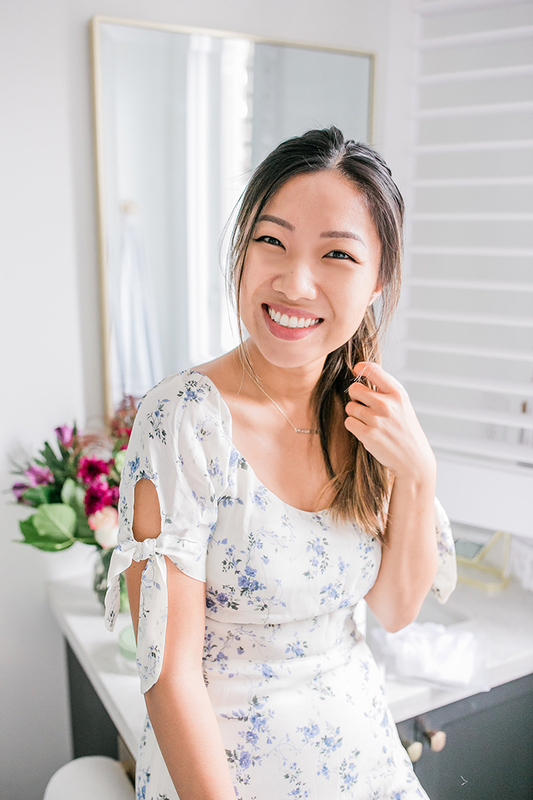 If you find yourself stuck, I recommend consulting with an in-store Beauty Expert, they are amazing at what they do (and so helpful), from product recommendations, to skincare analysis, and even makeup applications. After taking the advice of the Beauty Expert at the Yonge and Dundas Shoppers, I was all set with my oil-based cleanser(s)! 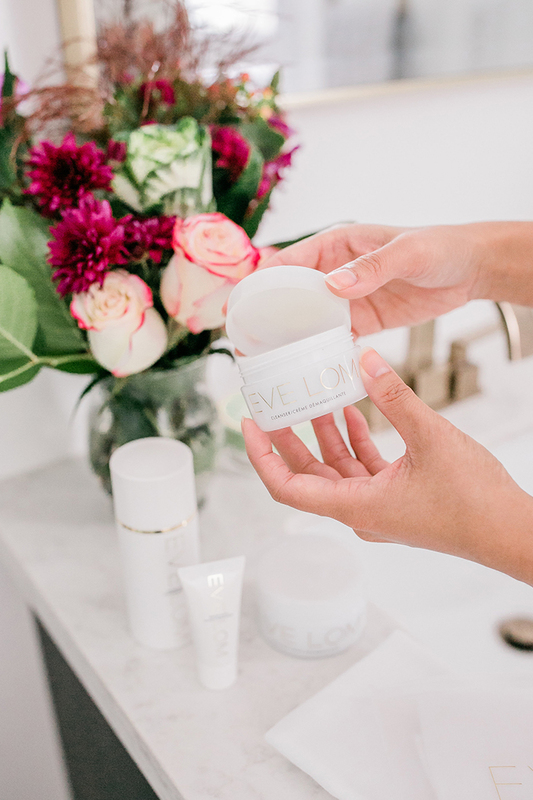 If budget is an non-issue, I highly recommend the Eve Lom Cleansing Balm. It lives up to all the hype. It’s luxurious to touch, cleans thoroughly and comes with a muslin cloth (for removal purposes) in the box, which I’ve now learned and can attest to the fact that it is ESSENTIAL to face cleansing. If you’re opting for this product, be sure to follow up with a regular cleanser of your choice. For oily skin, I prefer a gel cleanser over a foam cleanser. 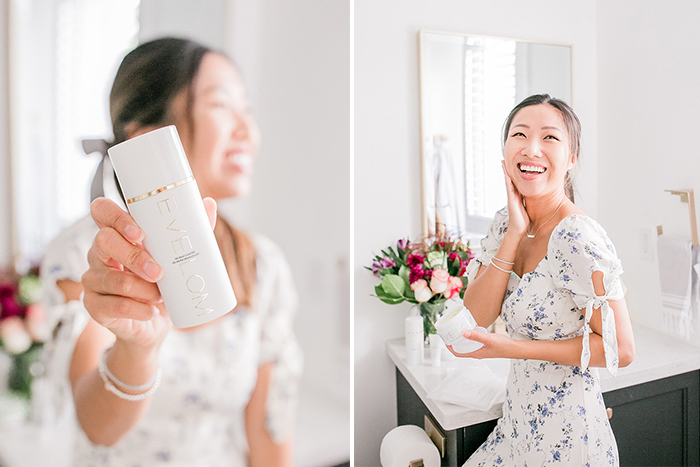 Now, if spending $50+ on a cleanser isn’t your cup of tea, you may be interested in Pixi + Caroline Hirons Double Cleanse. 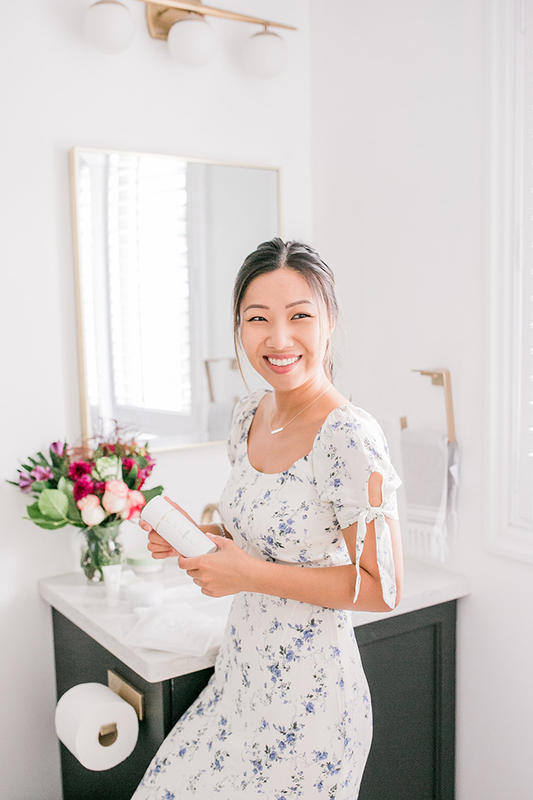 It’s a great compact option for double cleansing as this is a 2-in-1 product that contains a solid cleansing oil on one side and a cleansing cream on the other. I snagged this for under $20 (was on sale) and it makes the perfect travel companion as you don’t need to worry about packing two separate products. 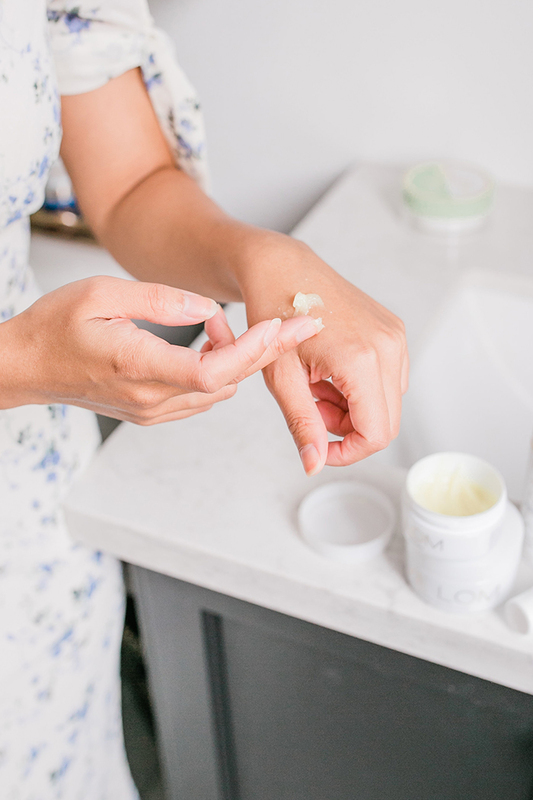 The solid cleansing oil is much harder in texture compared to the Eve Lom Cleansing Balm on first touch – but the overall objectives were achieved in removing makeup and oils as the first step. Of the two recommendations, I definitely prefer the Eve Lom Cleansing Balm as the packaging provides instructions for use. At first, the process seems tedious, but now that I’ve managed to develop a habit for it, it’s my favourite part of my night time routine! I first use a micellar water (so many options at Shoppers Drug Mart Yonge and Dundas store) to remove my eye makeup. 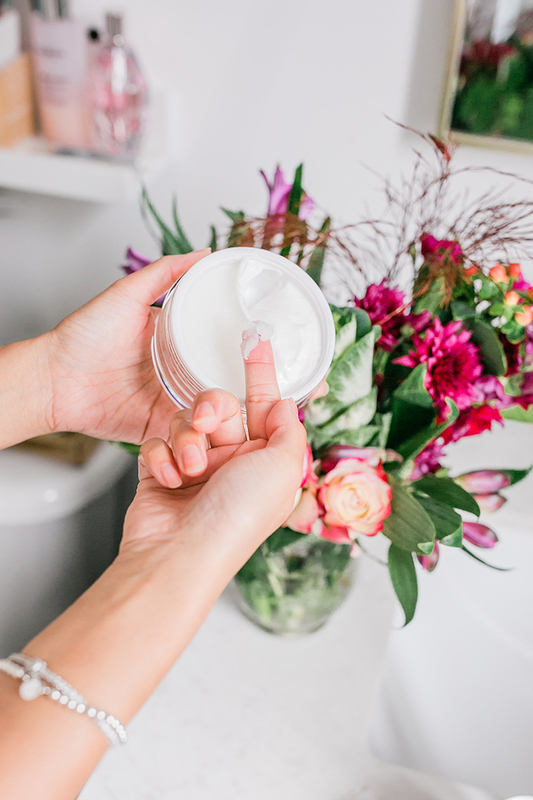 I then proceed to turn the hot water tap on, open the cleansing balm and lather a dime size portion using my finger tips. If you find that it is too thick, add a few drops of warm water. I then massage it all over my face. It’ll feel sticky at first, but as you continue to massage it, it’ll few moist and creamy. I then soak the provided muslin cloth in hot water and ring it dry and place over my face. This acts as a facial steam and I repeat this two more times. You’ll notice at this stage the cleanser starts to break apart. Complete the process by removing the remaining traces of make up by wiping it off with the muslin cloth. Once I’ve removed all traces of the oil cleanser, I finish with a gel cleanser and then place a cold muslin cloth over my face to lock in moisture and close the pores. I know it sounds like a lot of work, but trust me, it is worth it and will leave your skin clean, supple, and soft! I used to use disposable wipes as part of my cleansing routine. But after discovering muslin cloths (thanks to Eve Lom) I much prefer this option. 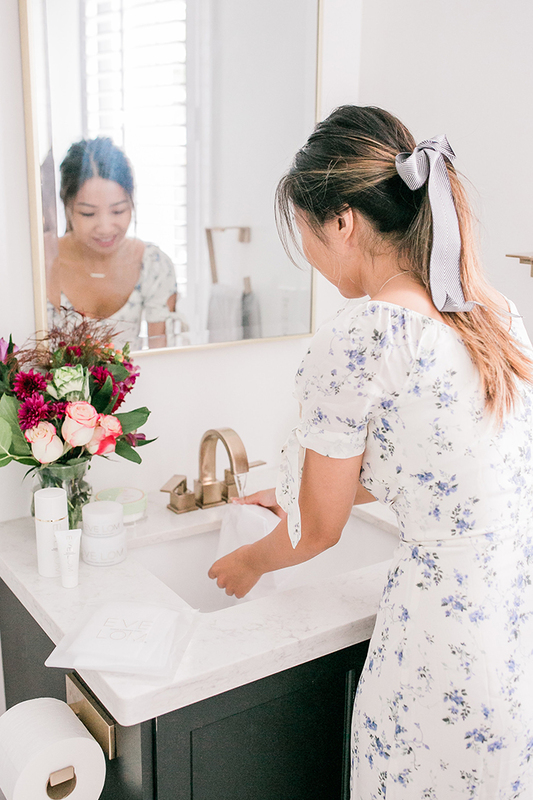 Muslin cloths are lightweight pieces of woven cotton fabric that is gentle on skin, environmentally friendly (they are washable and reusable), and when used with a cleanser, doubles as an exfoliate, buffing impurities from the skin. 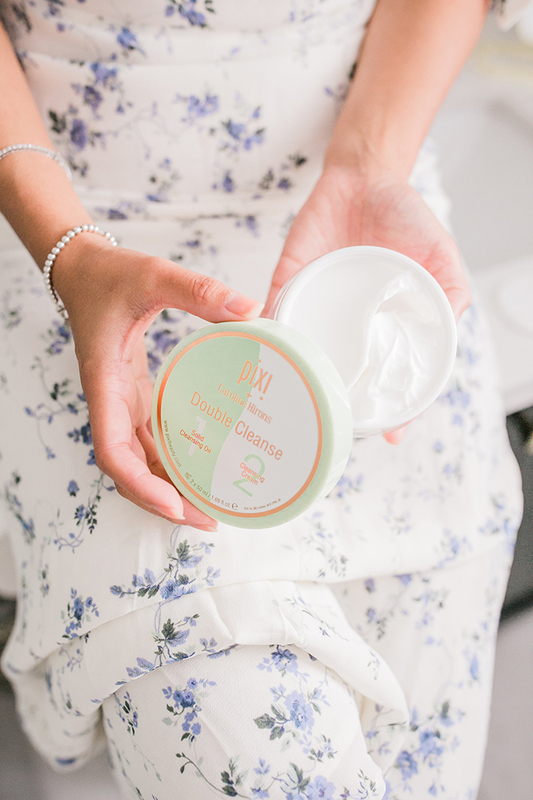 As mentioned, the Eve Lom cleanser comes with one small sized muslin cloth but you can also purchase a package of three large sized cloths separately, which is exactly what I did at the Shoppers at Yonge and Dundas Square. I recommend having a few handy and tossing them in the washing machine after 3-4 days of use. I hope I was able to offer a few tips about double cleansing. 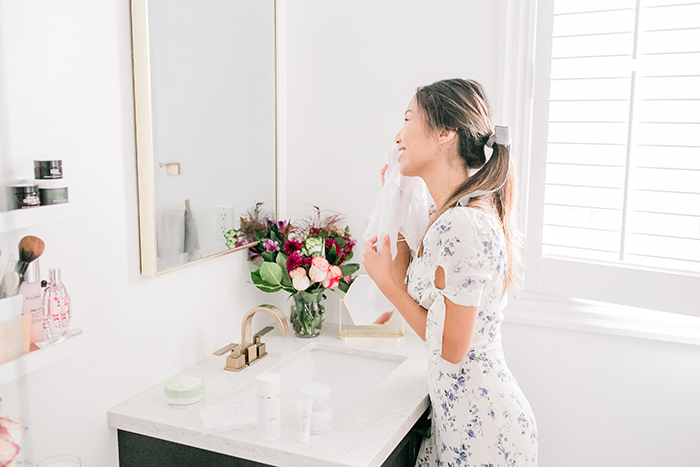 This type of cleaning may not be suitable for all skin types, so be sure to consult with a Beauty Expert or request a few samples before investing in an expensive cleanser. I’m so glad I visited this store first because I was able to test and try a wide range of brands prior to making any commitments. 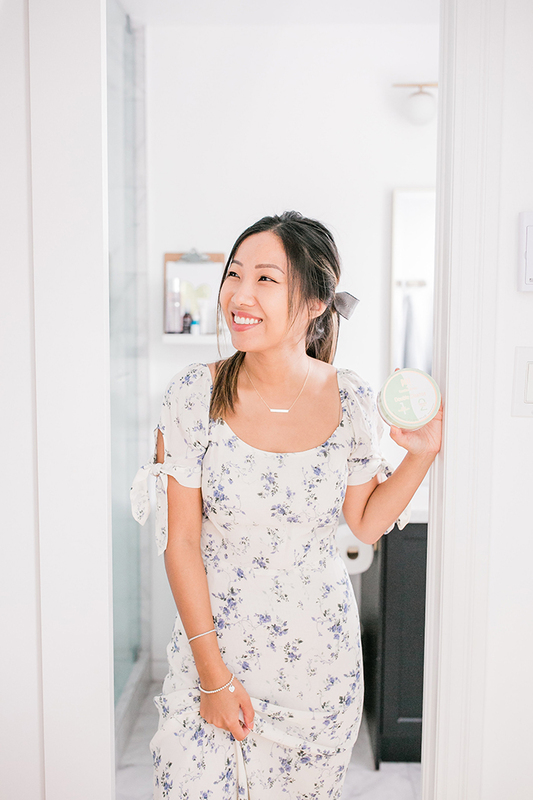 I want to give a special thanks to the Beauty Experts at the Shoppers Drug Mart at Yonge and Dundas for helping me select these products (and hunting down the hard to find Pixi Double Cleanse item!). Disclaimer: This post was created in partnership with Shoppers Drug Mart, but all opinions are my own. I encourage you to visit the newest Yonge and Dundas to experience it for yourself!